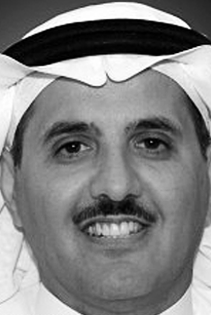 Yousef Abalkhail is the Chairman of The National Company for Glass Industries (ZOUJAJ, Riyadh, Saudi Arabia), which is a Saudi Joint Stock Industrial Investment Company with a paid up share capital of $67 million. Yousef Abalkhail is on the Advisory Board of EuroMena III. Zoujaj is the largest investor in glass and related products among GCC countries. Zoujaj has also investments in three companies of which Yousef Abalkhail is also the Chairman. He is on the Board of (i) Arabian Pipes company, a Saudi public traded company who’s main activities include the production of longitudinally welded steel pipe and coated for pipelines; (ii) AXA Cooperative Insurance Company, a Saudi public traded company; (iii) SHUAA capital Saudi Arabia, and; (iv) Qassem Cement Company, a publically traded Saudi company with turnover of above $170 million. Yousef Abalkhail holds an M.S. in Information Technology from the University of Southern California, USA, and a B.S in Computer Science from Point-Luma University, California, USA.